Over the last couple years an exciting new trend has emerged amongst universities across the country – they are providing courses online for free! Harvard, Yale, Stanford, MIT, UC Berkeley, Columbia, UCLA, and John Hopkins are just some of the schools that have lecture videos of entire courses online. Why the heck are these schools doing this? It is the free information movement. Just like there was a free love movement in the 1970’s, there is a similar free knowledge movement in the early part of the new century. Wikipedia is the epitome – its free information has become a part of the way we research just about everything. Another manifestation of this is the huge open source software movement providing free software to the masses. Examples are the Linux operating system, Mozilla Firefox web browser, and Android phone operating system. It is a cultural and economic phenomenon that deserves much more attention than a few sentences, but there is not room in this post so I will refrain – just be sure to take advantage of it! What exactly are they offering? It varies widely from school to school and even class to class. The organization OpenCourseWare currently has 200 schools with 13,000 courses offered online – some just have the lecture videos, while others also have the assignments and exams complete with solutions. Beyond what is posted you are on your own – there are no help resources such as teacher assistants or other class members to contact. Unfortunately just because these schools offer their course material for free, it does not mean you are able to receive a college diploma for free. In fact, even if you watch all the lectures and complete all the assignments you will not receive any recognition whatsoever. No diploma, no credits, no nothing. All you get is the knowledge! Sadly, getting a degree today isn’t so much about gaining knowledge as it is gaining the recognition for that knowledge. 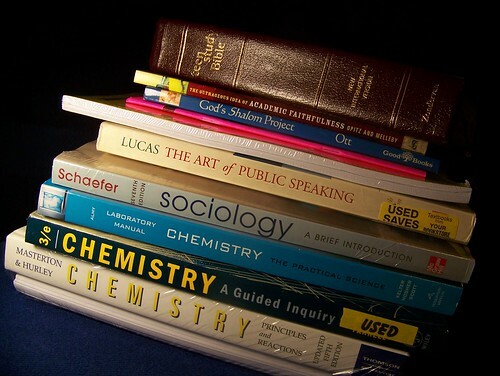 Well, there are a few different tests that can grant you college credits: AP, CLEP, and DSST. The only problem is there are an extremely limited number of tests for college credit, meaning the vast majority of the 13,000 courses online do not have a corresponding test. There are 30 AP tests ($86 each) accepted at 3,600 colleges, 33 CLEP tests ($77 each) accepted at 2,900 colleges, and 38 DSST tests ($80 each) accepted at 2,000 colleges. You have to see if the college you attend (or are planning to attend) will accept the specific test, what their score requirements are, and any other nuances. These tests also do not closely match the depth of courses offered online for free. The AP, CLEP, and DSST tests are all for somewhat elementary subjects – courses that would fit your general education requirement in college and help you achieve the minimum number of credits needed to graduate, but nothing beyond that. There definitely are not any AP tests that correspond to MIT courses “Principals of Digital Communications I” or “Control of the Manufacturing Process”. That is a great questions. Obviously completing “Principals of Digital Communications I”, a graduate level MIT course, is more impressive than passing the AP Psychology exam. It seems there are just too many distinctive courses offered to provide college credit tests for each. Also, each university then has to decide which tests it will accept for credit and the minimum score required. It is not an easy task. Isn’t it an important task? Yes, I believe it is important. People need the motivation to go out and take these free online courses. The student needs support when the going gets tough, and also recognition upon completion in the form of course credits. The benefits of this movement could be huge – it has the potential to lower the cost of a college degree massively by paying $80 for a test rather than taking a $1200 course. This could make college attainable for millions of individuals with internet access who currently do not have the money for college. When the students do arrive at college in person, they will be ready for more advanced studies, hopefully leading to more graduate degrees. It is clear the government would see a benefit by both helping to relieve congestion at our overcrowded universities and a better educated populace. However, a government solution would not be dynamic enough to adapt to the ever changing selection of courses offered for free online. A government test could potentially be too easy as the AP, CLEP, and DSST test currently are – this forces each individual university to decide which tests they will accept, and the minimum score required. The colleges themselves could create their own tests for passing out of a course and receiving credit. For example, MIT could develop tests for the numerous online courses they offer. This way MIT is assured the quality of the course as well as setting their own standards for difficulty. The downfall is that this would result in reinventing the wheel numerous times with different standards for each college. I believe the real solution must come from the private sector. A company could work closely with the top universities to develop formidable tests across a wide array of advanced subjects. If the best schools in the country agree to accept the results of the test for credit, the state schools with less stringent requirements should have no issue. A private business would also be dynamic enough to adjust to the ever changing selection of learning material online and determine which ones closely match courses offered at schools across the country. This isn’t particularly easy, but could be the easiest improvement we can make to our post high school eduction system. Who is with me? What other ideas or difficulties might there be around this idea? I’ve never thought about this from the perspective of replacing colleges. I have thought about it in terms of post-bac/post-grad continued education programs–basically a virtual classroom for professionals. Similar to Stanford Travel Study (in terms of clientele and marketing approach), with the shared goal of helping promote life-long learning. Start it like facebook with the Ivy’s Plus alum, then gradually expand. I know Bill Gates has tried to establish a program that offers lectures online–and it costs a pretty penny. Anyway, how does this connect to getting a BA or BS, and testing? Well, it doesn’t directly. However, I agree that the way we educate is not keeping pace with the D(we communicate and obtain information)/dt. I think that during our lifetime, the landscape of how we learn is going to change in ways impossible to imagine from our current vantage point. But I think that innovation, risks, and private industry definitely have a role to play. Well I don’t think it would replace colleges. Of course there is still value in going off to college, making friends, growing up, and experiencing new things. But I think we can save a lot of time and money by reexamining the whole process. I have another idea for post-graduation studies (or really anyone) where you can gain some recognition for finishing those programs. But this comment is not the place for it, so look forward to a post someday!